Why do affluent consumers almost automatically acquire new versions or variations of products already at their disposal? Even though most of us know that this novelty consumption poses a serious threat to an environmentally and socially sustainable future, we continue to do it. Why? Research shows that consumption of new automobiles, clothing, furniture, electronics, home furnishing, household apparel, mobile phones, etc., is motivated by a desire to feel more secure, less anxious and better mood-wise. Affluent consumers seem to engage in novelty consumption not to feel better but rather to avoid feeling bad. 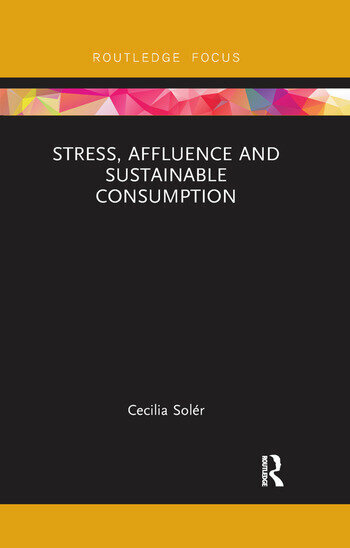 Stress, Affluence and Sustainable Consumption discusses sustainable consumption from a stress perspective, adding an embodied understanding to the sustainability-related consumption challenges that we face today. A stress perspective on affluent consumption differs from current understandings on consumption, as it fully acknowledges the consumer as having a body (including a mind) that reacts to the numerous product offerings and retail spaces, both physical and online. A stress perspective can explain how our bodies try to cope with an overload of perceptual input provided by advertising messages, product launches and even store structures. This book will be of great interest to students and researchers of consumer psychology, sustainable consumption studies, sustainable marketing and markets as well as sustainable development more generally. Chapter 4. Environmental marketplace stressors: "too much perceptual input"
Chapter 6. Structural life-style stressors:"work and consumption rich, time poor"
Cecilia Solér is Associate Professor in Marketing at the School of Business, Economics and Law, University of Gothenburg, Sweden.